Hi friends! I thought I would try a new kind of post and share my favorites once a month. I know a lot of YouTubers do this and I think it's fun to see what people are liking every month. It's a nice way to get to know them and a great way to hear about new products, tv shows, books, etc... that I might not have already heard about. ***I have used a few affiliate links in this post (and lots of non affiliate links.) 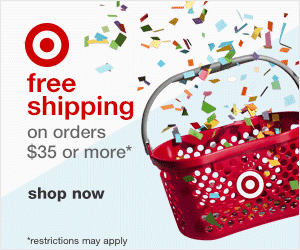 If you purchase or sign up through the affiliate links, I will get a small benefit. Thank you for any support you'd like to give my blog! One Day at a Time on Netflix. 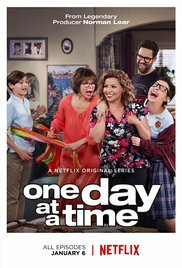 Netflix put a new spin on the classic One Day at a Time tv show. This show is about a single mom who is a former Army nurse raising her teenage daughter and her preteen son with the help of her old school Cuban mother. I love this show! It has the cheesy 90's sitcom vibe but under all that, they hit the hard issues like Veteran's issues, PTSD, immigration, feminism, and more. Every single episode makes me laugh and cry. I deeply care about the characters and I cannot wait for another season of this show. Gwynnie Bee. I just signed up for the free trial of Gwynnie Bee and I don't know why I waited for so long! I enjoy it so much I applied to be an affiliate. I've been going to so many events lately and I don't want to buy a new outfit every time. Gwynnie Bee works perfectly for me since I can rent an outfit, it ships to me, I wear it, and return it. I don't have to wash anything and once they get the items back, they ship me new clothes. A monthly subscription is about how much I usually pay for just one outfit. I'm going to do a full post on Gwynnie Bee really soon. You can get a FREE month to try it out and see if it works for you, check it out HERE. 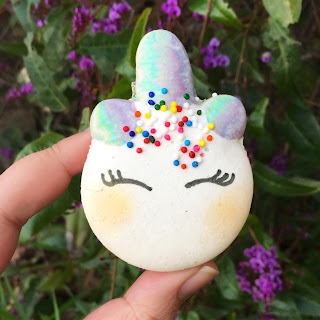 This super cute unicorn macaron from Rooftop Macarons. I mean, doesn't she look just like me? LOL! This is the photo I took and posted on my Instagram. This macaron was as tasty as it was cute! And yes, I eat these things. I don't believe in buying cute food just to let it go bad and sit around. Though, truthfully, sometimes that happens. Primula infusion pitcher with lemon strawberry water. I finally folded and bought a real infusion pitcher. I was using a regular pitcher before and it doesn't work as well. 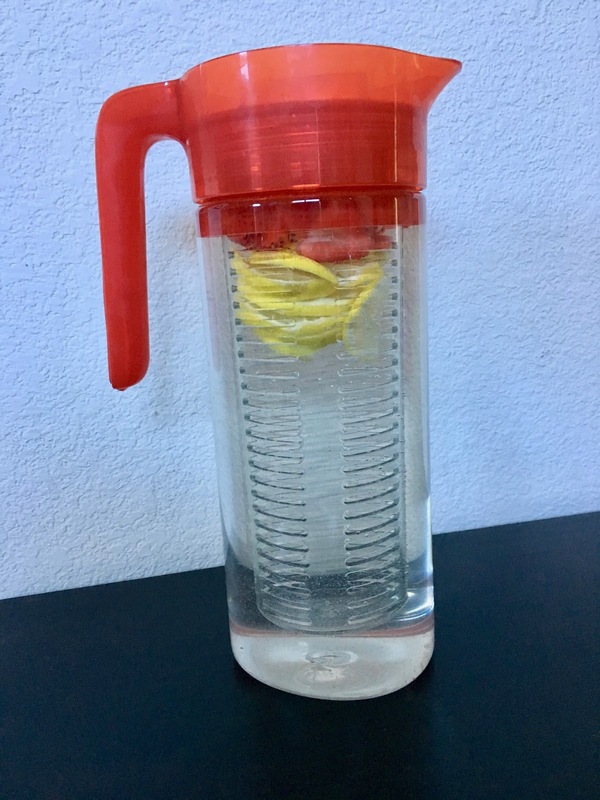 I could be imagining things but I think this pitcher works better, the water tastes better, and I don't get lemon seeds or chunks of fruit in my cup. I like drinking lemon water because it's good for my health but sometimes it can be too sour or lean a little bitter. I've started adding some strawberries and they lend a great natural sweetness! Plus it's nice to change things up so you don't get sick of the same flavor everyday. I've been adding a few different fruits to my water but this combo is by far my favorite. 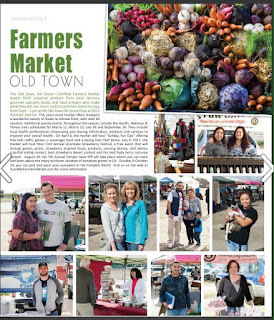 I was recently photographed at the Old Elk Grove Farmers Market and published in Ardent for Life Magazine which clearly makes it my new favorite magazine, right? LOL! 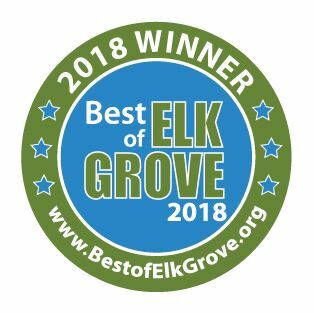 But seriously, they put out a GORGEOUS glossy full color magazine all about Elk Grove and it's FREE! Yes, that's right! 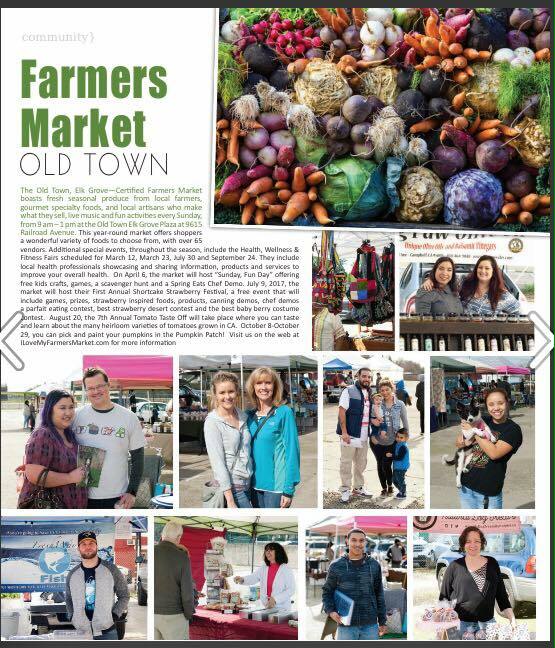 You can pick up your copy around town for free. I usually get mine at Rescate Coffee. I hope you found some fun new things or at least enjoyed hearing about my favorites this month. Do you have favorites that I should check out? Please leave me a comment and I will try to check them out! The infusion pitcher sounds cool and so does Gywnnie Bee! As for the macaron...yum! And cute! I have been wanting to try an infusion pitcher! I think you've convinced me! So many fun things on here! I have an infusion water bottle that I LOOOOVE (and always drink more water when I use it), and I've been looking for a new show to binge watch, so I may give that one a shot. I love this recap Ashley! I haven't heard of that show on Netflix yet, but we sadly gave up Netflix several months ago, le sigh. And I'll have to check out that infusion pitcher, I've been wanting one! Great highlights! I love my infused water pitcher--it's filled with fresh mint now. Happy weekend! Oh that water infuser looks so yummy!! !